It’s that time of the year. Time to say goodbye to summer and all the fresh food from your backyard garden. Time to harvest those herbs and turn them into something that will still bring that summer freshness into the winter months. I had great success with my basil plants this year and decided I’d use all that’s left to make as much pesto as possible. I’m so excited that I won’t have to buy a jar of prepared pesto to make this for a very, very long time. 1. Harvest all your remaining basil leaves from your plants in the garden. (Harvest is just a fancy word for “pick the leaves off the stems”. Sometimes I like to be fancy.) This could take awhile, so enlist the help of your toddlers. It’s a job they can do and will love getting to help. Just make sure your baby doesn’t eat too much dirt. 2. Make pesto (recipe below), but leave out the cheese. It won’t freeze well. You can add the cheese into the pesto after you thaw out the pesto when you’re ready to use it later. And if you’re on a tight budget, go with walnuts instead of pine nuts. SO much cheaper. 3. Portion the pesto into ice cube trays and freeze until frozen solid. Then transfer the pesto cubes into a gallon freezer bag, label it and stick it back in the freezer. 4. When you’re ready for pesto later when your summer garden is no more, thaw out however much you need and add in the cheese. Easy peasy. Combine the basil in with the nuts, pulse a few times in a food processor. Add the garlic, pulse a few times more. IF FREEZING : Leave out the cheese. 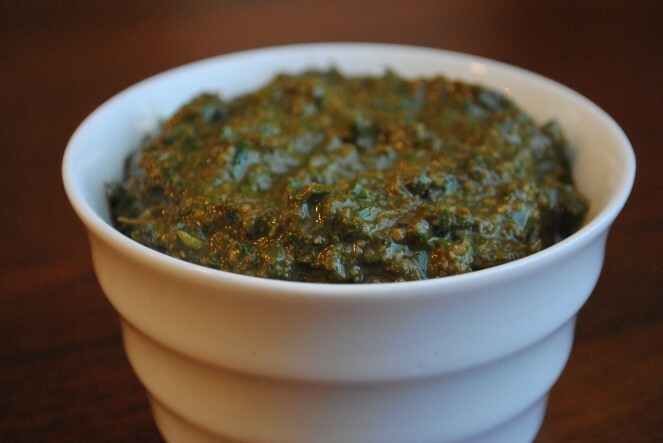 You will add this in after you thaw out the frozen pesto when ready to use at a later date. Hi Vanessa… the other night, after I had the pleasure of meeting you, I couldn’t sleep. So I found myself at 3:00 am looking at your blog (and archives) and I have to say my dear, I love it!! You are so talented and an inspiration to me. I look forward to more posts and getting to know you in person. Thanks!!! Hi Julia! It was so great to meet you at MOPS too! Really glad we got a chance to chat for awhile and I am excited to get to see you more. Thanks for the compliments on the blog. It really means a lot to me.